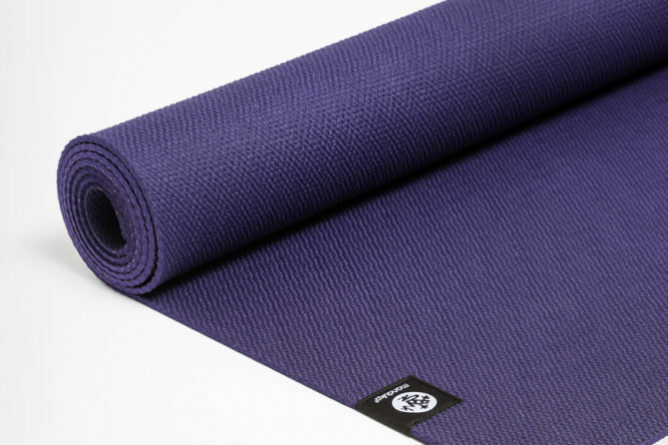 I speak from experience when I say that Manduka‘s mats are eternal, and they’re so well made and sturdy that the only reason for you to replace them is because you’re donating them. And even if your Manduka mat has been with you for years, it still looks great and provides you with the cushioning you need during practice. In that way, Manduka, aside from the fact that they use “non-Amazon harvested natural tree rubber” for their eKO mats and make sure to practice nontoxic, emissions-free manufacturing, is doing its best to offer eco-friendly products, the latest of which is the X Mat, which “is free of chemical solvents and manufactured in an energy-efficient facility.” The X Mat is great not just for yoga practitioners, but also for cross trainers, and it keeps bacteria away, too.